Hurricane Matthew has left a trail of destruction across Haiti. The damage to property and vital infrastructure is extensive, and reports indicate that as many as 500 people have already lost their lives. The small Caribbean nation is still recovering from the devastation of its 2010 earthquake, making the recovery from Hurricane Matthew even more difficult. 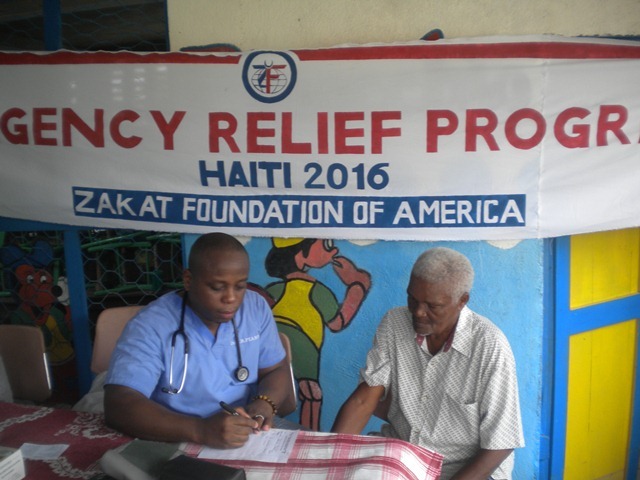 As it did in 2010, Zakat Foundation of America (ZF) is mobilizing to help the Haitian people. ZF is committed to assisting the long-term recovery effort in Haiti, but the most immediate need in the wake of this disaster is for fresh food and water. ZF’s partners are currently on the ground, distributing urgently needed food packages, water and hygiene kits, while also running a large soup kitchen that feeds 1,000 people per day. Please help ZF provide emergency relief for hurricane survivors in Haiti with a $60 food package today.